Another killer design from Arturo Vilmenay. 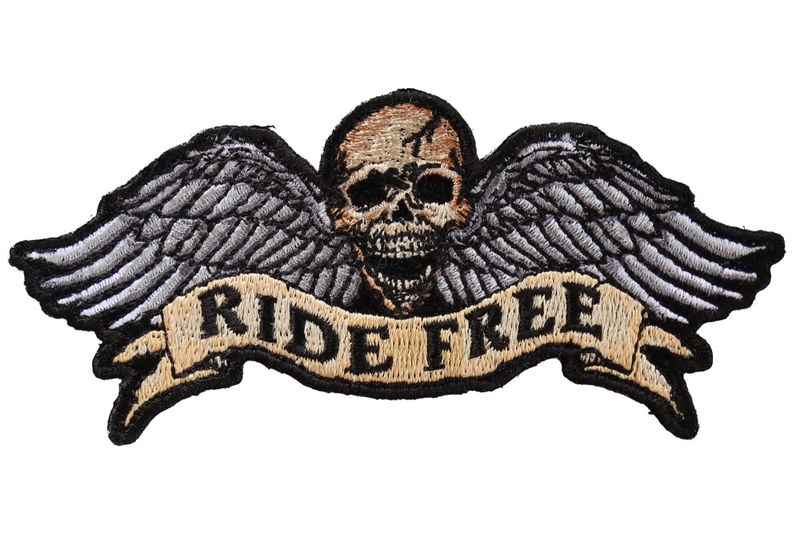 The winged skull patch for bikers saying Ride Free in small version measures 4.5x2.5 inches. Embroidered in shades of gray through tan.